TIDAL SCENE: The October King Tide of 2013 was a problem in Miami Beach. This was the scene at 10th Street and Alton Road. In a crowded meeting room at Florida International University’s North Miami campus, 190 college students and science whizzes from FIU’s elite public high school, MAST, are being prepared for the big King Tide day. But first, Caroline Lewis of the local climate change clearinghouse, the Cleo Institute, needs to gauge their interest on a scale of 1 to 10. Ones rarely think about climate change and talk about it even less, she explains. “But a 10 would be someone who does not shut up about climate change, whose family is so sick of them they won't even have them over for Thanksgiving anymore,” Lewis concludes as the students erupt in self-recognizing laughter. This is a crowd of 10s, and they are preparing to spend Oct. 9 sloshing around in the King Tide flood waters of Miami Beach with donated electronic sensors that measure the depth and salinity of the seawater. Saad Masud, a 15-year-old sophomore at MAST, believes it’s important work. “If we can understand how the effects of this huge tide is going to be, we’ll be able to better enhance our drainage systems,” he says. All that data, along with helium-balloon images of the coastline during the King Tide, will be studied to refine estimates of how degrees of sea-level rise will make life difficult or even impossible in coming years. Faculty advisor Robert Gutsche says it may provide some necessary answers. 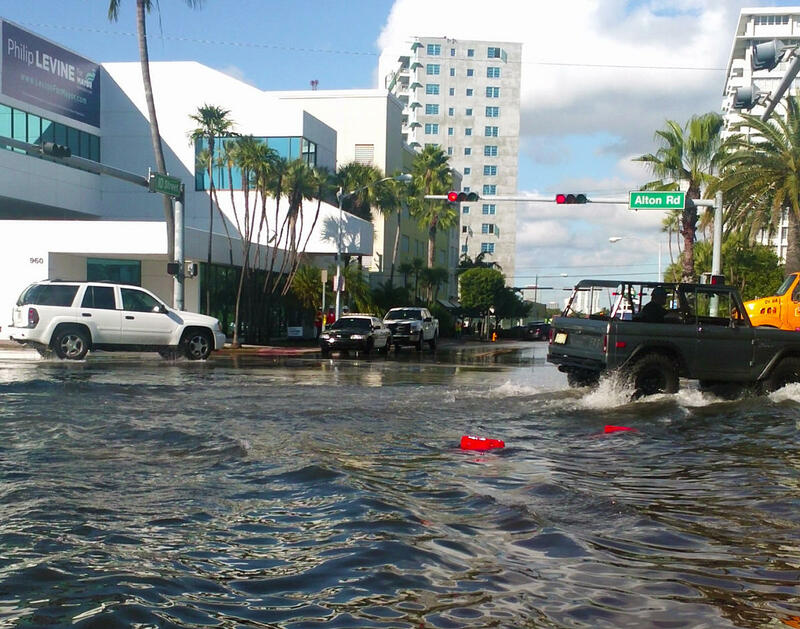 More than most places, Miami Beach is already experiencing sea-level rise. Its storm sewers are overwhelmed most of the time and there are floods even without rain. King Tides have been difficult on the beach in recent years. But this one may come with a chance to learn and even a climate change lesson: 10s may be the true believers, but even the ones get wet. Scientists say much of Florida will be underwater within a century if nothing is done about climate change. Now, a wooden ark is taking that message on a tour around the state. The ark is 22 feet long and 8.5 feet tall. It belongs to NextGen Climate, a political action committee taking aim at Gov. 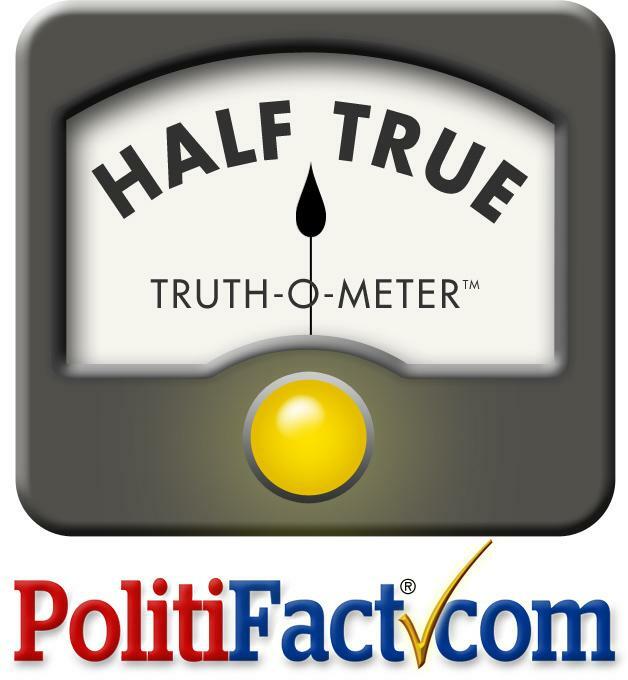 Rick Scott for not taking action against climate change. This past Sunday morning, 15 people were shot at a Miami night club. The city and its surroundings have lived through numerous nightlife shootings. Bullets at bars and clubs have left at least 13 dead and 28 injured in Miami-Dade County since 2012. Scroll below and click to the right and left of the slides to see some of the shootings that have occurred at nightlife spots since 2012. It's a familiar saying among exporters -- South Florida is the shopping cart for Latin America. From cell phones to gold, medicine to aircraft parts, it all leaves the United States from South Florida destined for overseas markets. While the pace of trade is down from a year ago, according to trade media company WorldCity, the seaports and airports here maintain a trade surplus. The battle for the Florida governor's office is fully engaged now. And, oddly, both Republican Governor Rick Scott and his challenger, Republican-turned-Democrat Charlie Crist, appear to be using some of the same ammunition. Both the Republican Party of Florida and the Crist campaign have recently cited convicted Ponzi schemer Scott Rothstein in ads slamming their opponent. How long does it take a sea turtle to travel from the Florida Keys to southern California? Only a few hours when it travels by FedEx. That's what Sapphire, a loggerhead sea turtle, is doing today on a journey from the Turtle Hospital in Marathon to The Living Coast Discovery Center near San Diego. The turtle has been at the Middle Keys rehab center for 16 months and cannot be released back to the wild. "Maybe it just needs a little love," said Peanuts character Charlie Brown in describing his tiny Christmas tree with branches so fragile a single ornament weighs them to the ground. Perhaps the same could be said of distressed coral. Federal scientists believe that a spindly structure resembling an underwater Charlie Brown tree could play a huge role in saving rare coral damaged by the PortMiami deep-dredge project. The People’s Climate March Sunday included more than 2,000 events in over 150 countries. In Miami, a group of about 100 people spent Sunday afternoon handing out T-shirts, putting on costumes and coloring posters at the Freedom Tower. Many of those posters focused on the effects of sea-level rise. Jonathan Ullman works with the Sierra Club, one of the organizers of Miami’s march. The American Civil Liberties Union has filed federal complaints against school districts in Broward, Hernando, Hillsborough and Volusia counties over the use of all-girls or all-boys classes. The ACLU wants the U.S. Department of Education’s Office of Civil Rights to investigate the programs. StateImpact Florida’s Gina Jordan spoke with Galen Sherwin, a senior staff attorney at the ACLU Women’s Rights Project, about the complaints. Florida's 12th university, Florida Polytechnic University, is an architectural marvel that sits right next to Interstate 4 in Polk County. The main building features a swooping veil-like facade designed by Spanish architect Santiago Calatrava. The public can get a peek of the new campus when it opens on Saturday. But WUSF reporter Steve Newborn took a tour with university spokesman Crystal Lauderdale to talk about the features and Calatrava's intent. The State University System Board of Governors Wednesday delayed a vote on adding $45 million. They want more time to discuss the issue.